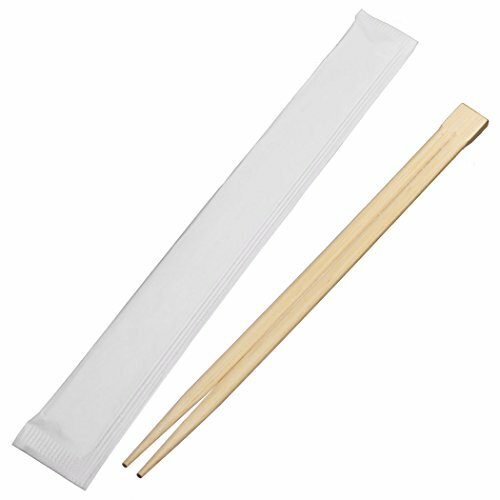 Universal Souvenir Splinter-Free High Quality Bamboo Disposable Chopsticks with Clean white Paper Package for private or public occasions such as wedding, school event, family meeting, Restaurants, Sushi Bar, any meeting or Etc. Perfect for Chinese, Japanese, Vietnamese, Thai and Korean dishes and take-out orders. Clean and Neat Shape Fits in many occasions such as Wedding, Private & Public Dining, Family Dinner, Oriental-style party, and Etc. Splinter-Free, Safe and Durable The smooth surface offers a pleasant and comfortable dining experience, without the risk of getting splinters in your mouth. Perfect for Chinese, Japanese, Vietnamese, Thai and Korean dishes and take-out orders. If you have any questions about this product by Universal Souvenir, contact us by completing and submitting the form below. If you are looking for a specif part number, please include it with your message.